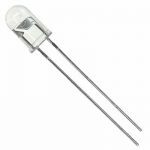 The LED stands for a light emitting diode is an optical semiconductor device which emits lights when voltage is applied and it convert the electrical energy into light energy. Just like a p-n junction that can absorb light and produce an electrical current, the opposite is also possible that a P-N junction can also emit light or exhibit electroluminescence. A P-N Junction diode which emits light in forward biased is known as LED. 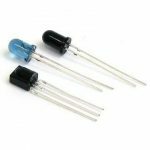 For manufacturing the LEDs the germanium and silicon semiconducting materials are not used because these are heat producing materials. These materials are very poor in emitting light radiations. The semiconducting materials used for manufacturing visible LEDs are gallium phosphide (GaP), Gallium Arsenide Phosphide (GaAsP) and gallium nitrate (GaN). The LEDs are radiate lights in different colors such as red, green, yellow, blue, orange, etc. The GaAsP emits either red or yellow light. GaP emits red or green light and GaN emits blue light. The best semiconductor material used for manufacturing infra red (IR) LEDs is gallium arsenide (GaAs). 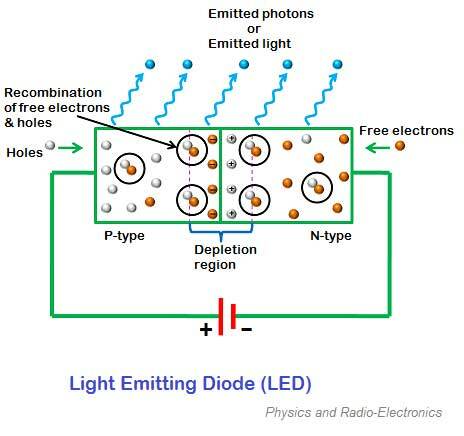 The constructional diagrams of LEDs are fabricated by using vapors phase or liquid phase epitaxy. Direct band gap red LED are fabricated on a GaAs substrate and indirect band gap LEDs are an GaP substrate. Indirect band gap LEDs emits orange, yellow or green light. Here an N type layer. The metal connection to both the layers make anode and cathode terminals and indicated. The transparent window is provided at the top of the surfaces. When P-N junction is forward biased the electron present in the n region are combine with the holes. These free electrons occupy in conduction band and at the higher energy level from the holes in the valence band. When the recombination takes place, the electrons return back to the valence band which is at a lower energy level than the conduction band. While returning back the recombining electrons give away the excess energy in the form of light.